Tony Russell's career with plants and gardens began in 1978 when (soon after leaving school and completing a long-distance charity walk from John O' Groats to Land's End) he joined the Forestry Commission in Snowdonia. In 1980 he went to Newton Rigg, Cumbria to study forestry and horticulture and after qualifying in 1983 he took up post as Forester for the New Forest in Hampshire. In 1989 he was appointed Head Forester of Westonbirt Arboretum in Gloucestershire, one of the finest collections of tree and shrubs in the temperate world. His areas of responsibility included development and management of the Arboretum, conservation of its many rare and endangered species and interpretation of the collection and its environmental importance to others. By 1999 he had increased annual visitors to Westonbirt from 140,000 to 300,000, making Westonbirt the third most visited garden in the UK at that time (after Kew Gardens and the RHS Garden, Wisley). In 2000, in recognition of these achievements, the British Government awarded Westonbirt, National Status. Tony left Westonbirt in 2003 and is now widely regarded as one of Britain's leading authorities on trees and shrubs. Over the past fifteen years he has presented many gardening, horticultural and countryside programmes for both TV and radio. His six-part TV series 'The Cotswolds' Garden Trail' was nominated for the 'TV broadcast of the year' at the National Garden Media Guild awards held at the Savoy, London in November 2003. He co-presented the TV gardening series 'Roots and Shoots' for HTV and scripted and presented the acclaimed major TV series for ITV 'Britain's Great Trees' - which was originally screened during 2003 and has been repeated several times since. In 2005 Tony presented two TV series - 'Garden Trail' and 'Forests of Southern England' - both for ITV. In 2006 he worked with the BBC on the TV documentary series 'Save Lullingstone Castle', which was based around the creation of the World Garden at Lullingstone Castle in Kent. This was screened on BBC2 in the spring of 2006 followed by a second series in 2007. Also in 2007, Tony presented the BBC Radio 4 series 'Inspiring Trees'. Since then Tony has regularly appeared on BBC Radio, presenting programmes such as 'Plant Invaders' for BBC Radio 4 and appearing from time to time on Gardeners' Question Time. He can also be heard on BBC Wales and BBC Radio Gloucestershire and in December 2018 appeared in the BBC Radio 3 programme 'Winter Forests'. 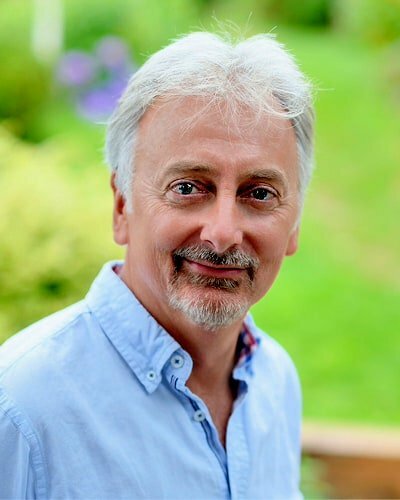 Tony regularly writes for several magazines and newspapers - including The Daily Telegraph, BBC Gardeners’ World Magazine, The Garden, Country Life, The English Garden, Garden News, Country Gardener, Period Living Magazine, Cotswold Life and Western Daily Press. He is the author of eighteen books; ‘Westonbirt, A Celebration of the Seasons’ published in 1995; ‘Cornwall’s Great Gardens’ 1998; ‘The World Encyclopedia of Trees’ 2003; ‘Trebah – Garden of Dreams’ and ‘Trees of the America’s’ 2005;‘The Trees of Britain and Europe’ and ‘Tree Spotting for Children’ 2006; ‘The Gardens at Spetchley Park’ 2007; ‘The World Garden at Lullingstone Castle’ 2008, ‘The Cotswold’s Finest Gardens’ 2009, ‘The Complete Book of Trees’ 2011, ‘Dorling Kindersley’s ‘A Nature Guide to Trees’ 2012, What’s That Tree? 2013, The Finest Gardens in South-west England 2015, The Finest Gardens in Wales 2015, The Hidden Gardens of Plas Cadnant 2015, The Finest Gardens in South-east England 2016 and Batsford Arboretum – A Celebration of the Seasons 2016. He is currently working on a complete revision of The World Encyclopedia of Trees which will be published in 2019. Tony is also editor of the annual publication ‘Great Gardens to Visit’ and horticultural editor of Discover Britain’s Gardens magazine. In addition to his writing and broadcasting work, Tony runs a thriving garden and forest consultancy business. Over the past fifteen years he has been horticultural director of the La Chaire Sub-tropical Gardens Restoration Project in Jersey, Channel Islands; lead consultant on the creation of the World Garden’ at Lullingstone Castle in Kent (which won the award for the ‘Best New Tourism Project of 2006’) and lead consultant for the Berkeley family at Spetchley Park Gardens near Worcester – in Spetchley’s 400th anniversary year. In 2008 Tony headed up the UK’s promotion of the recently discovered Australian ‘dinosaur tree’ - the Wollemi Pine, which culminated in a silver-gilt medal award-winning garden at the Chelsea Flower Show. From 2014 until 2017 Tony worked with the Snowdonia National Park Authority on a garden restoration project for their Victorian mansion at Plas Tan y Bwlch, as well as founding and co-ordinating the North Wales Festival of Gardens during this period. 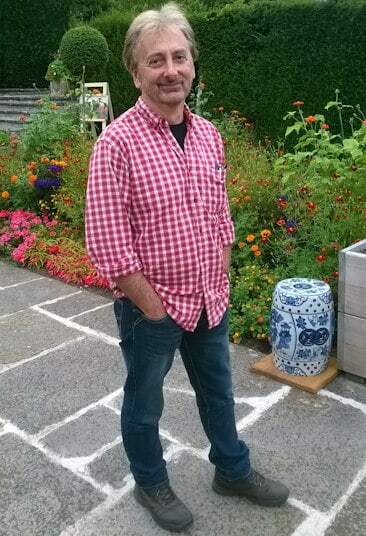 Since 2009 Tony has been garden consultant to the National Trust and worked with many gardens throughout the UK including Winkworth Arboretum, Nymans, Emmets, Standen Park, Batemans, Petworth House and Sheffield Park in South-East England. Knighthayes and Trengwainton in South West England, Seaton Delaval in North East England and Plas Newydd, Penrhyn Castle, Dyffryn, Tredegar House, Erddig and Chirk Castle in Wales. In 2019 he will be working with Belton House in Lincolnshire and Bodnant in North Wales. Tony is a patron for the Ernest Wilson Memorial Garden Trust and he also sits on the board of Trustees for Batsford Arboretum in Gloucestershire, where, during 2010 and 2011 he was part of the team that successfully achieved a multi-million-£ development project, which included an award-winning new visitor centre and a five-acre expansion to the arboretum. 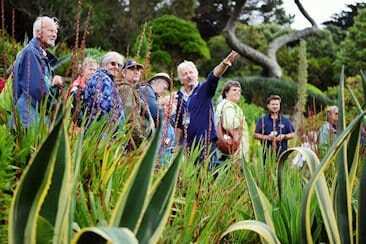 Alongside this work, Tony regularly leads garden & plant-based tours both in the UK and overseas. Since 2003 has accompanied groups to Japan, Russia, Estonia, The Arctic, Costa Rica, India, The Himalayas, Scandinavia, Canary Islands, Madeira, Spain, Portugal, France, Ireland, the Channel Islands, South America and the Amazonian rainforest, Italy, North Africa, Iceland, China and New Zealand.